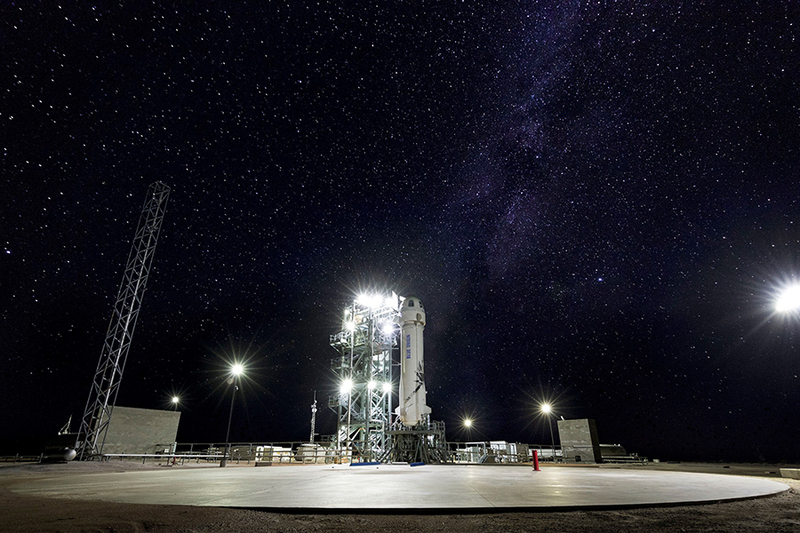 Steven Collicott is the principal investigator for one of nine NASA-sponsored research and technology payloads included through NASA's Flight Opportunities program that will launch on Blue Origin's 10th New Shepard mission. Steven Collicott has had four previous payloads fly on Blue Origin's New Shepard. Blue Origin’s 10th New Shepard mission will include a payload from AAE Professor Steven Collicott. Collicott is the principal investigator for one of nine NASA-sponsored research and technology payloads included through NASA’s Flight Opportunities program. The payload looks at Zero-Gravity Green Propellant Management Technology, which aims to help advance the use of a safer and more environmentally friendly rocket propellant by better understanding the fuel’s behavior in microgravity. Collicott’s payload will demonstrate zero-gravity surface tension propellant management of AFM-315E, a domestically produced green propellant from Air Force Research Laboratory. Propellant management is performed with the sheet metal vanes of a propellant management device (PMD). The experiment will "mature technology to control nontoxic green fuels in spacecraft propellant tanks." according to NASA. The technology complements NASA's Green Propellant Infusion Mission and "could benefit future missions to near and deep space."